GET THE BEST DEAL BY USING A WA OWNED AND OPERATED FAMILY BUSINESS. Hen & Buck celebrations. Perth Bus and Coach Charter have the right vehicle for your special occasion. 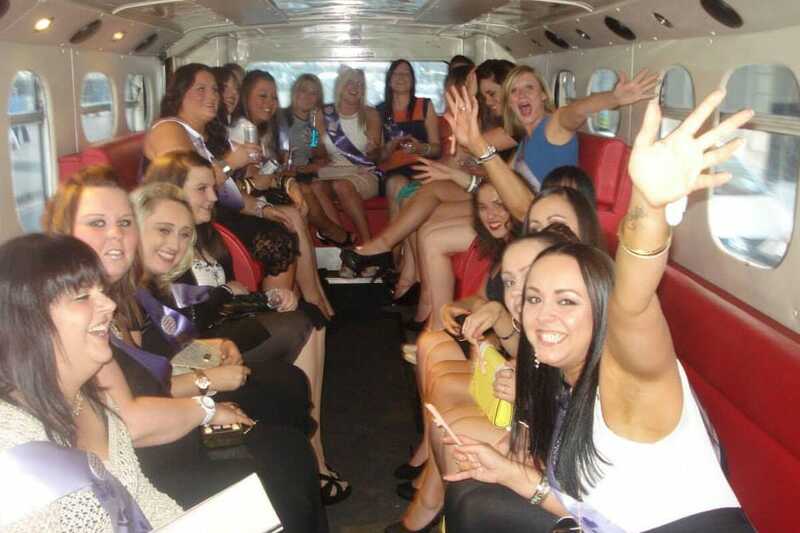 Hens & Buck celebrations, from 10 people to 53 people we can provide the right transport for you. Not only can we provide the transport we can also put together some great packages tailored to your special occasion. A great night out in Northbridge and the City or a day of fun in our magnificent Swan Valley, we can do it. We can also provide packages that have bar tabs of $100 and more included in some of the deals. If you prefer to arrange your own day out and choose your own venues, that is perfectly okay. Just bear in mind that arrangements need to be in place with the venues as very few places will just simply except your group by just turning up on the day. We are more than happy to assist you wherever we can. At the end of the day we want your group to have a memorable day out. Looking for a bit more comfort for your Hen & Buck celebrations? Why not hire our 45 seat luxury air conditioned coach. It has a great sound system and is fully equipped with on board Karaoke. We have two duel TV’s that display all the words to the songs and a microphone that stretches all the way to the back of the coach. Its a lot of fun and we can also arrange prizes for the best singer. We have a huge selection of Karaoke DVD’s to choose from, including all the favorites such as ABBA & Elvis. With Perth Bus and Coach Charter it’s not just about hiring a bus, its about all the fun you can have whist travelling in it. For Perth Coach Hire, Bus Hire Perth, Mini Bus Hire Perth, Coach Hire Perth. CALL US NOW FOR THE BEST DEALS IN PERTH. From 13, 24, 45 and 53 seat vehicles. Give Chris a call now to put a package together for you on 1300 653696 for a great deal.